Although quality craftsmanship is paramount, we understand that our gear gets ridden hard, exposed to the elements and put through punishment of the world’s hardest-charging riders. Our general warranty policy covers manufacturing and craftsmanship defects for our products purchased new (receipt required) within the last year. If a product is found defective by Mofour, in its sole discretion, Mofour’s only responsibility shall be limited to credit, repair or replacement of the defective product. Mofour will not be responsible for any losses, damages, costs and expenses (including reasonable attorneys’ fees) as a result of loss or use of product. • If the product needs to be returned to Mofour, the customer is responsible for the cost of shipping products freight prepaid and insured. Mofour assumes no responsibility for products during shipment from the customer to our Warranty Department. Shipping charges are not refundable. • Manufacturer’s defect as determined by Mofour. • All coverage under this warranty is void if any modification, change or alteration has been made to the product that is not specifically authorized in writing by Mofour. • Binding parts cracking/breaking, not due to misuse, abuse, or neglect. • Damage due to natural causes, such as hurricanes, tornadoes, floods and storms, etc. Determine whether the damage should be covered by warranty. Here are a few things that are NOT covered by warranty. Normal wear resulting from standard usage that occurs over time. Any problem resulting from misuse, abuse, impact (on any surface or object including water) or neglect. Damage to product resulting from improper care or unnecessary roughness. Parts or hardware that were lost or have gone missing AFTER receiving your shipment. To see a full list please see the warranty guidelines below. If your product needs repair parts from normal wear and tear or lost items please see write us at info@mofourwakeboards.com. If you have any questions please contact us. You need to write us a full report for the damage/defect you are claiming. Send us purchase details, your info (name, last name, address, email, phone number, town, country), the product name, model, size, year and also send us pictures of the product. We want to see you back on your Mofour gear almost as much as you want to use it, but please be patient we will work to get your case resolved as quick as possible. Most warranties are usually resolved in a timely manner and will be processed in the order they come in. We will contact you with further instruction. *Return shipping on warranty claims is the responsibility of the buyer. Mofour will cover shipping charges on all items replaced or repaired under warranty. You will need to provide photos of the damaged product, description of how the damage occured, your purchase receipt, invoice or charge receipt from an authorized Mofour Dealer that clearly identifies the dealer, date of purchase and the item. 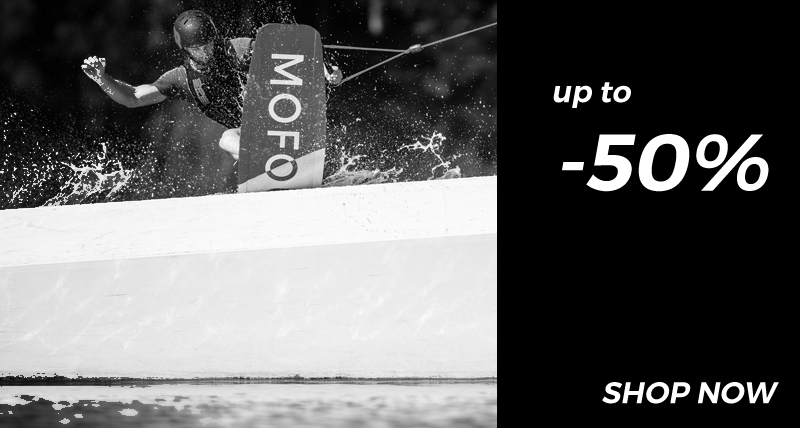 Send everything written above to buy@mofourwakeboards.com with an email subject Warranty Claim.